Review of Logitech G903 Wireless Gaming Mouse - For the gamers! Logitech has made some of the best mice in recent years, one of these was the G900 wireless gaming mouse. The G900 was hailed as the king of the wireless mice of its time, last year however Logitech launched a successor to the G900. The G903 is the new king of Logitech’s lineup, and for the most part it is a very similar mouse. The G903 shares the same Lightspeed wireless technology as the previous G900 which a very good thing since it is the most reliable wireless tech we have used in a mouse, even having the mouse within 2 meters of a wireless router (not recommended by Logitech) the mouse experienced no issues with normal web browsing and gaming. The G903s smooth and precise movement is provided by the PMW3366 Optical sensor. This is the same sensor used in the previous G900 and most of Logitech’s other higher end mice including the highly praised G502. With a maximum sensitivity of 12,000DPI, the mouse is on par with most of the offerings from all the major brands. The G903 offers up too 32 hours of battery life which is hopefully enough for most gaming sessions. 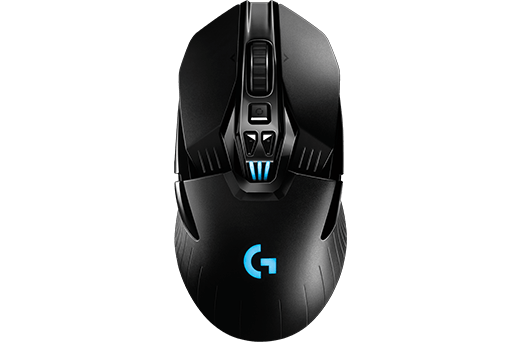 However, one of the G903s new tricks is its ability to use Logitech’s new Powerplay technology. When used with the Powerplay mouse pad, the mouse is able to charge wirelessly from the mouse pad which is one of the best things we have seen from a wireless mouse. We personally love wireless mice but having to charge them is a pain if you are a little forgetful and don’t put it on charge when you are done with your long gaming sessions. The only real downside of this excellent piece of kit is its price tag, the mouse itself will run you $249.95 RRP in Australia, and the Powerplay mouse pad will run you a further $199.95RRP. All in all, it’s an excellent mouse that costs a fortune, but we love it and we think you will too. If you would like to own a G903 come down to Total Microsystems and we can hook you up.